Ships from and sold by Fityle AU. Perfect for hangers, tags, card making, message holder, embellishments, scrapbooking, plaques and many other art and craft projects. 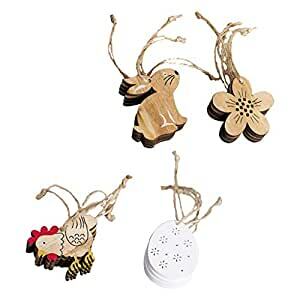 - Perfect for hangers, tags, card making, message holder, embellishments, scrapbooking, plaques and many other art and craft projects. Please understand due to the light and screen difference, the item's color may be slightly different from the pictures. Please allow slight differences due to manual measurement. Thanks for your understanding and have a nice shopping day!